The OIRFC had its inaugrual game in 1957. By 1959, the club had formed a 2nd XV and by the mid 60s an Extra A (3rd) XV was started. The 1st XV had its best seasons in 1964/5 setting the record for points difference (when a try was only 3 points) and in 1965/6 losing only one game. This points record stood until 1988/9 when it was broken by the 3rd XV (the Blue Tide), and this new record stood until 2001/2. In 2005/6 the 1st XV won the Herts & Middx Vase Final. Following the subsequent restructuring of the league, the 1st XV has played in Herts/Middx 2 league, with the 2nd XV playing in a Middx merit table. In addition to its rugby playing successes, the OIRFC is well known for its social side and touring which has helped us to attract and retain many players. Building on the touring tradition started in the 60s, what other club can boast of a total of 92 tours with 80 tours in the past 40 years. OIRFC’s rugby, post match events and touring provide all our current and past players with great memories and a strong sense of camaraderie. The Old Isleworthians came into existence in 1902 with the formation of the OI’s Association Football Club (OIAFC). There was also an OI’s Association social club, known in those days as a “smoking club”. Both these came together in 1953 as the OI’s Sports and Social Club (later known as the Association). Like many old boys clubs, its original objectives were to provide sports and social facilities for former pupils and teachers of the School. Although there are still strong links with the School, the OI’s has been an open sports club for many years, and welcomes football, cricket and rugby players from the Isleworth and surrounding areas. The School can trace its origins back to the 17th century through a series of charitable trusts and was founded as a grammar school in 1895. In 1906 it was named Isleworth County School and in 1952 Isleworth Grammar School. It had its own building (still there today) in St John’s Road in 1897, relocating to Ridgeway Road in 1939. The School later became comprehensive, and a nearby secondary school, Syon (formerly Smallberry Green) merged into it at an enlarged Ridgeway Road site, and the name changed to Isleworth & Syon. It was always a boys school, although in recent years its sixth form has been in a consortium with other local girls schools, in particular the Green school with which it has always had strong ties and shares the Busch corner playing fields. The School’s original winter sport was association football and many school players have gone on to play for OIAFC from 1902 to this day. However, for its first fifty years OIAFC had no permanent home. Its vision was to establish its own ground. After the Second World War, the School raised a memorial fund for those old boys of the School who had given their lives during the war. It was decided to merge this fund with funds from the OIAFC and the Association with the objective of establishing a Memorial Ground. To quote from the minutes, ‘Nowhere can the memory of those who gave their lives be better kept green, than in the head quarters of Old Isleworthians.’ A memorial bronze plaque was erected at the School and a copy of this is at the OI’s clubhouse. In 1948 the OI’s purchased an orchard for £600 and a driveway for access from Wood Lane. It cost another £600 to clear the land and establish the bottom football pitch. A group of volunteers led by Jack Luto erected a clubhouse using two huts bought from the Ministry of Defence (rumoured to have been used for Italian prisoners of war in Osterley Park), and by 1952 it was ready. The whole ground includes the top winter pitch area which is leased from St. Mary’s. Cricket was the main summer sport at the School and the OI’s Cricket Club (OICC) was founded in 1956. In 1988, OICC successfully merged with Heston CC (to become OIHCC) and strengthened the club remains based at the Memorial Ground. Rugby football was not introduced at the School as the second winter sport until 1953, and a 1st XV was fielded in 1956/7. 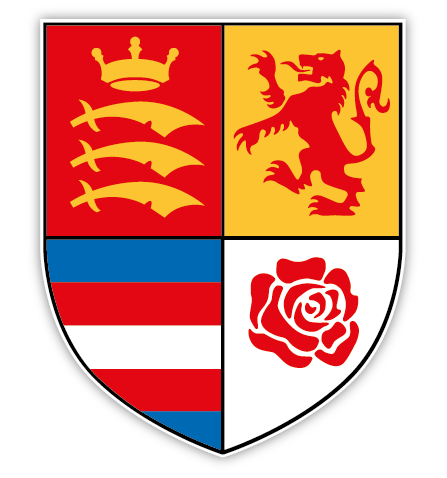 OI’s Rugby Football Club (OIRFC) was founded in late 1957, and fielded a regular team from then on, at the same time or well before some local schools with a longer rugby history, notably Hampton (Old Hamptonians 1957), Chiswick (Old Meadonians 1958) and Thames Valley (Old Thamesians 1962). The Memorial Ground is well used for football, rugby and cricket, OI’s colts football enjoyed by many local youngsters, and Harlequins amateur ladies rugby. The OI’s has also hosted a number of charity days in liaison with the School. Those at Wood Lane have included invitation football and rugby teams with numerous capped players. The School has continued to produce many fine players with county representatives each year. It has had five rugby players selected for England Schools, and a cricketer who became an England test player. In 2005 the Daily Telegraph chose it as the best English sports college school. It’s most recent famous old boy is Olympic gold winner Sir Mo Farah. The Isleworthians Association continues to encourage the School’s former pupils and teachers, together with other local sportsmen, to join the OIFC, OIHCC and OIRFC.